Jennifer Aniston And Demi Moore The Best Directors Of 2011? Maybe! Let’s hear if for fox-force Five! 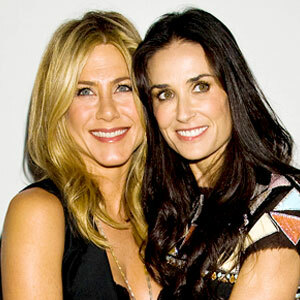 The directors of the Lifetime tearjerker, including—maybe you’ve heard of them—Jennifer Aniston, Demi Moore and Alicia Keys, are in the running for a Directors Guild of America Award for Outstanding Directorial Achievement in Movies for Television and Miniseries for their work on the five-vignette drama about cancer patients and their families. Well, Demi, turns out 2011 wasn’t all a bust!